Take that San Francisco! The Dodgers went into the Bay Area and swept a 3 game set from the Giants over the weekend, and reclaimed a 1.5 game lead in the NL West. San Fran stood no chance against Zach Greinke or Clayton Kershaw, while Hyun-Jin Ryu was solid last night. 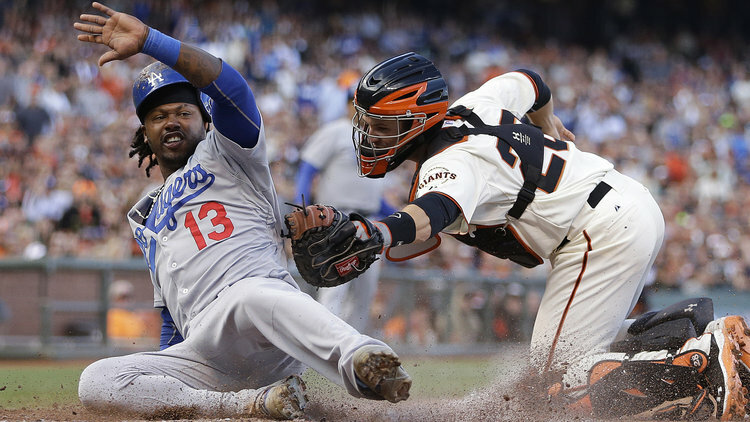 Admit it….some of you Dodger fans were nervous that Jake Peavy was on the hill last night for the Giants, since he’s owned LA over the years. You probably forgot that this isn’t the same Peavy that was the ace of the Padres. The Boys in Blue rattled Peavy for four runs, which was enough for Ryu and the bullpen. As for Kershaw, watching this guy pitch is simply amazing. He is a once in a generation player that makes me stop what I am doing to watch him. It’s about time that the team with the highest payroll in baseball started playing like a real team. It remains to be seen if it continues. Somebody needs to tell Dave Stewart, Matt Kemp’s agent, to shut the hell up. If there’s anybody creating unnecessary drama between the Dodgers five outfielders, and straining the relationship between Kemp and the Dodgers, it’s Stewart. Kemp has been swinging the bat well of late, and the Dodgers need his bat in the lineup to be an elite team. It’s Stewart that has been creating these ridiculous Kemp for Jon Lester rumors. As I’ve been saying for weeks, the Boys in Blue just need a little bullpen help, and then take their chances with the roster they have. Adding another starter is overkill on a team with three aces. That’s like ordering another round of dessert after eating a couple of ice cream sundaes. For all of Kemp’s issues he’s working through, he’s still a better player than Crawford or Ethier. As good as Joc Pederson could eventually be, it doesn’t make sense to depend on him in an everyday role in the middle of a pennant race either. Matt, tell your agent to keep his mouth shut until the off-season, when everything can be sorted out. In the meantime, be a team guy, and just be happy you’re in the lineup everyday. The Angels are also continuing to play great baseball. The Halos took three out of four from the Tigers over the weekend, which kept them 2 games back of Oakland in the AL West, and comfortably leading the AL Wild Card. When the season started, we all thought the Halos had no pitching, a questionable bullpen, and few minor leaguers that could make an impact at the major league level. We were obviously about as wrong as ESPN NBA analyst. In their last three games the Angels have given up two runs, and none of those games were started by the front end of the rotation. Efren Navarro should now be referred to as “F’in Navarro!” because the kid can play. I could swear that I have seen just about all six of David Freese’ home runs this year, in person. It’s like he’s trying to convince me not to rip him on Jock Talk LA, even though he’s been terrible for most of the season. More importantly, the new and improved bullpen has been lights out so far. The Halos are looking like a dangerous ball club. The Lakers have finally hired a head coach. After going through three rounds of interviews and endless waiting, Byron Scott agreed to a 4 year contract with the team he once played for. Most people think that it won’t matter who the Lakers coach is because they won’t be any good next year anyway. However, this was a very important move for the Buss Family. Jim Buss has made two horrendous hires in a row. He has finally made a move that will at least bring stability to an organization that has been in turmoil for years. Scott is a disciplinarian. So is his star player, Kobe Bryant. Scott believes in defense first. Resolving those two issues alone could go a long way toward putting the Lakers back on the right track, even though it will likely take time. Most importantly, Scott was a Laker. He understands what it means to be one, and what it will take to restore the franchise to what it once was. Rumor had it that the Lakers were waiting things out on hiring a coach, in order to see if Doc Rivers would eventually quit his job with the Clippers, and potentially coach the Lake Show. Obviously that never came to fruition, but that doesn’t mean Doc won’t quit. 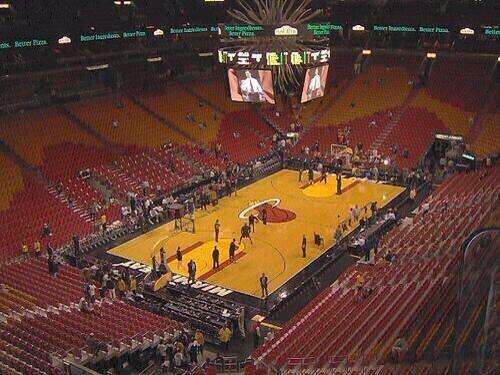 Donald Sterling is refusing to let go. He just doesn’t get it. Doc Rivers, Chris Paul, and other Clipper players have been telling people they are considering sitting out the season if Sterling is still the owner. Wouldn’t that be something? Just when you think the Clippers are on the rise and building something to be reckoned with, Donald ends up being the one to blow the whole thing up. I definitely believe that Doc would quit, but I also have a hard time believing the Clipper players are going to sit out and forgo millions of dollars in salary over this. It’s an interesting situation to keep an eye on if Sterling refuses to let go of his ownership. But for the Clipper players, these seem more like idol threats. Speaking of the NBA, what are the Cavs and Warriors thinking? Both of these teams should have acquired Kevin Love weeks ago, and are holding the deal up over players that are nothing more than spare parts. The Cavs were actually debating whether or not to include Andrew Wiggins in their offer for Love. Wiggins could be a great player in three years, but during that time with Love they will be contending for titles. The Warriors are refusing to offer Klay Thompson, who is nothing more than a nice role player, who will be overpaid very soon. Both these teams could build a super power by adding a player like Kevin Love. A Steph Curry-Kevin Love combo would shoot right to the top of the Western Conference for the next a few years. A Love-Lebron-Kyrie combo in Cleveland would be winning titles in no time. This is just another example of how there are many more terrible GM’s in the NBA, than good ones. Well this is awkward. ESPN’s Stephen A Smith is in trouble for some comments he made regarding Ray Rice and his domestic abuse incident with his wife. “Screamin” A Smith said “let’s make sure we don’t do anything to provoke wrong actions, because if I come, or somebody else come, whether it’s law enforcement officials, your brother or the fellas that you know, if we come after somebody has put their hands on you, it doesn’t negate the fact that they already put their hands on you. So let’s try to make sure that we can do our part in making sure that that doesn’t happen.” This of course resulted in a strong response from Smith’s co-worker, Michelle Beadle, who’s tweet you can see below. I’m not sure if these comments are a fire-able offense, but they are a little thoughtless and insensitive. This is probably where Smith takes his act to satellite radio where he can rant and rave all he wants. So I was just forced to watch this morning’s First Take. A) I’ll never feel clean again B) I’m now aware that I can provoke my own beating. Finally, it’s coming. You’ve been waiting a whole year for it. This Wednesday, on SyFy, will be the sequel you’ve all been waiting for: Sharknado 2. That’s right folks. The first movie just wasn’t terrible enough, that they had to create a second one. I don’t know about you guys, but I am going to be firmly planted on my couch on Wednesday evening for this historically bad television that will be airing. This entry was posted in Morning Coffee on July 28, 2014 by omzzzzz. What a strange team the Los Angeles Dodgers are. The Boys in Blue managed to salvage a win last night against the Cardinals, their only one of their 3 game set in St. Louis. Clayton Kershaw gave up three runs, which happens about as often as it snows in Los Angeles. Hanley Ramirez was hit not once, but twice, which only added to his various ailments, but Adrian Gonzales came through in the 9th to put the Dodgers back into a 1st place tie with the Giants. The more I watch this team, the more I realize that it’s a talented lineup that lacks fundamentals and discipline that could cost them in the long run. It starts with four expensive veteran outfielders, all of whom have yet to find consistency at the plate, and are playing defense as if Mike D’Antoni were coaching them. If Matt Kemp, Andre Ethier, or Carl Crawford played halfway decently, the Dodgers would be running away with the league. Kemp isn’t the same superstar after all his injuries, neither is Crawford, while Ethier’s consistency has been in question for years. Even Yasiel Puig’s power numbers are down, while Adrian Gonzales has struggled for over a month. Maybe Mark McGwire needs to introduce steroids to his hitters, because thus far, it looks like he’s teaching his hitters a complete lack of plate discipline. To make matters worse, the fat contracts of these outfielders are forcing the Dodgers to play their most talented players, but not their best. Joc Peterson is easily the best center fielder in the organization right now, and one of the best prospects in baseball, yet the Dodgers won’t call him up. It seems as though the only way LA will be fix this situation is by eating some salary on one of these outfielders through a trade. In the meantime, it seems like a good bet that this situation will cost the Dodgers on the field this season. Meanwhile. the Angels are on fire, but unfortunately they play in the same division as the Oakland A’s, who have the best record in baseball. The Halos took two of three over the weekend against the Mariners, to remain 1.5 games back of Oakland. For a team with one of the worst farm systems in baseball, according to those baseball nerds at ESPN, the Angels have quickly developed some solid major leaguers that are helping them right now. CJ Cron, Garrett Richards, Kole Calhoun have all come out of nowhere to make Jerry Dipoto suddenly look like he knows what he’s doing. I don’t know who Efren Navarro is, but the dude sure looks like he can play ball. On Friday, he had the game winning RBI single in the 16th inning, and he even threw out a runner at 2nd base on a nice defensive play. It probably doesn’t hurt either to have Mike Trout on your team. Obviously Jerry Dipoto has been reading Jock Talk LA, in hopes of saving his job. For months I’ve been saying that Dipoto needs to add at least two arms to the bullpen to give the Angels a chance down the stretch and in the playoffs. Over the last three weeks, Dipoto has traded for Jason Grilli, Joe Thatcher, and Huston Street. The Angels have now completely revamped the backend of their bullpen, which was a must. The bullpen is really one of the easiest problems to fix for a team. The Halos pen was giving away games like they were some charity organization. Now the Angels seemed poised for a great duel with the A’s down the stretch, and possibly a deep post season run. Just think how good this team could be if Josh Hamilton remembered how to play baseball? When the Lakers acquired Carlos Boozer off of amnesty waivers this week, somewhere, Jack Haley was screaming “I told you so!” For those of you who don’t remember, the former Laker player, and Fox Sports Analyst put his reputation on the line in 2005, when he declared that the Lakers were going to acquire Boozer in a blockbuster trade with Utah. That trade never happened, Haley lost his credibility, and eventually, his job. Back in those days, Chris Broussard and Ric Bucher would have been out of a a job much faster than Haley. As for the Lakers, they rounded out their roster this week by signing Xavier Henry, Ryan Kelly, Ed Davis, and Wesley Johnson in addition to Boozer. I really don’t see the point of adding Boozer. He’s half the player he used to be, and he’s only going to take minutes away from Julius Randle’s development. For those of you that missed the Lakers Championship drought video from Funny or Die, you’ll get a good laugh…. The NFL to LA rumors are picking up again. Well, not really. It’s just that the LA Times is trying to make us think that they are picking up. The NFL has decided to hold next years draft in Los Angeles, which has begun to fuel this speculation. There’s also the fact that the Chargers, Rams, and Raiders, can now opt out of their stadium deals at any time after this season, and potentially relocate to LA. None of that matters though. Those teams can’t get a stadium in their current city, and they won’t be able to get one here in LA. We’ve got two different proposals, and the league likes neither, yet they are the ones who desperately want a team or two back in LA. The tax payers of Southern California refuse to fund a stadium, and rightfully so. If the NFL wants back in LA, then they should be the ones to pay for it. Football has been gone so long that nobody here knows they miss it, which mean nobody is going to pay for a stadium. Finally, Rory McIlroy cruised to an easy win at the British Open over the weekend, but what a boring tournament it was to watch. Rory is a very good golfer, and I love the story about his dad placing a bet on him years ago, and cashing in on it yesterday. However, the average fan doesn’t care. The average fan wants to see Tiger, and wants to see him dominate. I’m not sure we’ll ever get to see Tiger play at that level that he was at back in 2006, but at least seeing him back near the top of the leader board would make things much more interesting for the viewer. This entry was posted in Morning Coffee on July 21, 2014 by omzzzzz. 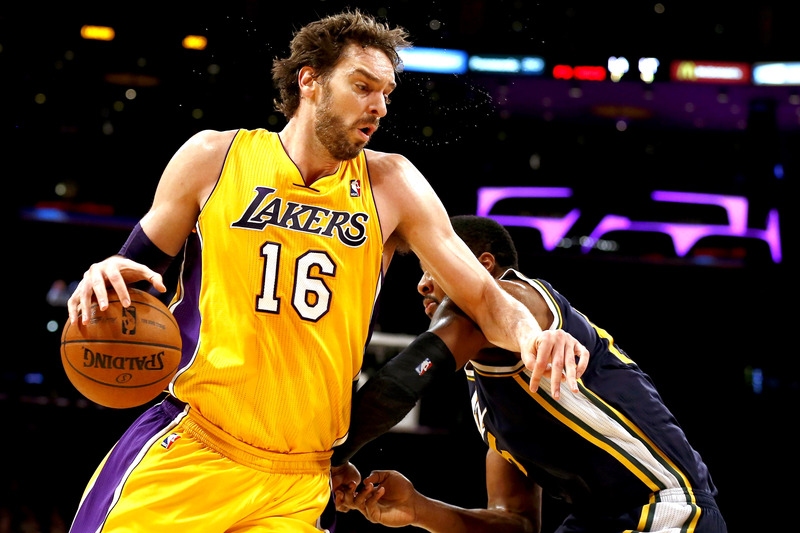 It was a a complete free agency failure for the Lakers. All we heard about for the last three years was how the Lakers were going to make a splash in free agency to reload their team. They showed up about as prepared as I am to date Megan Fox. No coach, no young talent, an aging and broken down superstar, and an ownership that probably couldn’t even agree on what to order for lunch right now. It’s no wonder the Lakers not only didn’t get Lebron or Carmelo, but lost Pau Gasol, and had to overpay to keep Nick Young and Jordan Hill. The Lakers were so desperate they couldn’t even get Pau to accept a 3 year $29 million deal, which would have been a bad deal. It’s true what they say about Pau, he really is a nice guy. So nice that he actually saved the Lakers from themselves by turning down that deal. The only small bright side is that the Lakers ripped Jeremy Lin’s expiring contract and a 1st round pick from the Rockets for nothing, and the Rockets didn’t even get Chris Bosh after clearing their cap. The joke is still on the Lakers though, who have assured themselves of being a lottery team for another season, without a lottery pick (Phoenix owns the Lakers 1st round pick next year if it’s outside the top 5). The Lakers had plenty of money to go get some young talent with some upside like Isaiah Thomas, Lance Stephenson, or even Trevor Ariza. There’s a lack of commitment to the free agency plan, and a lack of commitment to rebuilding. That means there’s a complete lack of leadership, no matter what the front office is saying publicly. Kobe is going to have aneurysm on the court next season, once he realizes who his teammates are going to be. As blasphemous as this sounds, the Lakers should call the Knicks and see if they can trade Kobe for Amare Stoudemire, a draft pick, and one of their young players. Give him the chance to win his 6th ring, and let the Lakers commit to rebuilding. Pau Gasol was probably writing apology letters to all 29 NBA teams that he did not sign with, while Lebron James was holding the entire league hostage again over another free agent decision. Lebron’s decision to go back to Cleveland was an admirable one, and he sounds like he’s matured a lot when you read his sports illustrated essay, where he announced the decision. It’s a great story that he feels a connection to the place he was born and raised in, and I do hope he is actually able to win one for Cleveland. I mean it’s Cleveland folks…….if you’ve never been there…..believe me, they need it badly. The only thing that should make Cavs fans nervous is the fact that he can opt out next year, and test the market again in 2016. Of course Lebron’s mouth piece, Brian Windhorst, was on ESPN saying that he did this because he’ll receive a higher max salary in 2016. Good one Windhorst! Go back to Hometown Buffet! Why does he have an opt out after next year then? Why wouldn’t he just sign a longer deal with the same opt out in 2016? Lebron seems about as committed to the Cavs as I was to my 6th grade girlfriend. Here’s a preview of next season’s Miami Heat season opener…..
We’ve reached the All-Star break in baseball, and for all the complaining I’ve been doing, the Dodgers have the best record in the National League. The Boys in Blue took 3 out of 4 from the Padres at the Ravine over the weekend, and the pitching continues to be lights about. It’s almost an outrage that Clayton Kershaw actually gave up a run in his last outing, which ended his shutout streak at 41 innings. General Manager Ned Colletti indicated yesterday that it was unlikely the Dodgers would make a trade for a big name like David Price or Cole Hamels. What the Dodgers really need to do is get the back end of the rotation healthy, find some bullpen and bench help, and get some consistency at the plate from their outfielders. They also need to get some better food options at the stadium, where you can’t even get salsa to go along with your nachos. The Dodgers and their stadium have their flaws, but they still have enough talent to come out of the NL and make it to the World Series. As for the Angels, their first half was a very pleasant surprise. After completing a 4 game sweep over the Rangers, the Halos are just 1.5 games back of the A’s in the AL West, and they hold the 2nd best record in baseball. 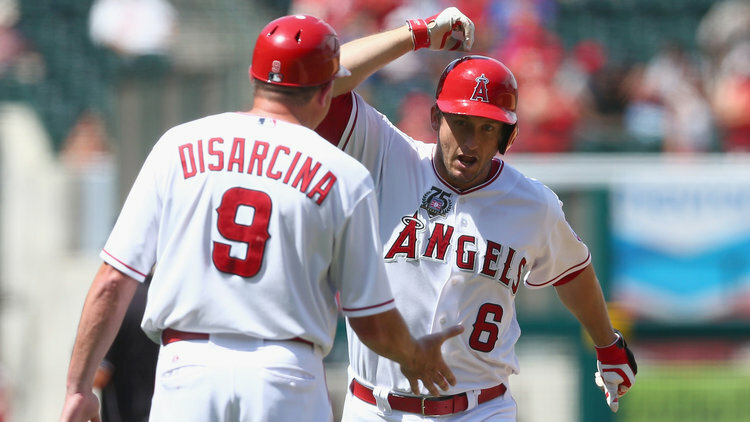 Last season the Angels were just 4-15 against Texas, and they are already 8-2 this season. The Halos should feel great about their pitching, and the offensive support around Mike Trout and Albert Pujols. The real question is whether or not they think Joe Smith is the long term answer as their closer. I still think this team needs multiple arms in their bullpen to give themselves a chance in the fall. Their needs to be an investigation on why Garrett Richards didn’t make the all-star team though. Richards is 11-2 with a 2.55 ERA, which is 5th in the AL. There were 13 pitchers picked ahead of this guy? He was snubbed not once, not twice, but three times, after he was passed over again as a replacement for David Price on Saturday. I’m thinking Richards must have slept with John Farrell’s wife. I admit it, I actually watched the World Cup Final on Sunday. I had to see what the fuss was all about as the Nazi’s and the drug cartel went to battle over that gold trophy. Pretty entertaining game, but I was a little disappointed Lionel Messi didn’t complete his legacy with a win for Argentina. I love to see greatness, and we witnessed a number of those amazing moments from Messi in the tournament, but not yesterday. However, nobody should feel as bad about themselves as Brazil, who just got blown up in their last two games, and it was in front of their home crowd. The Germans should be called in front of the United Nations this week to determine if they should be charged with crimes of war against Brazil. 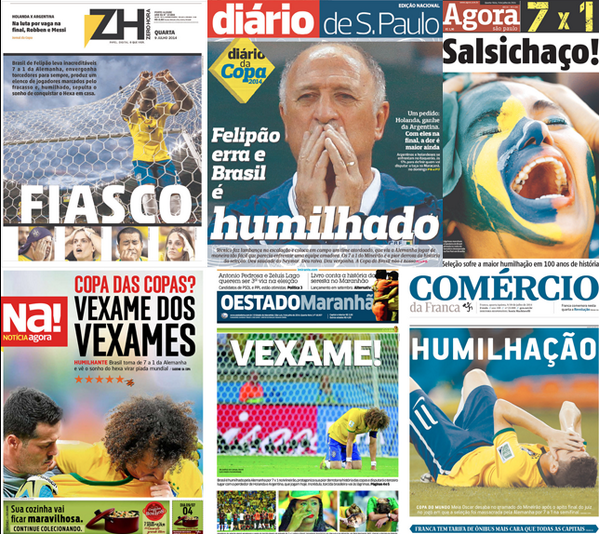 The Brazilian soccer team was so bad, their week was even worse than the Lakers’. What a weird free agent signing by the Anaheim Ducks over the weekend. The Ducks signed forward Danny Heatley to a free agent contract for $1 million. Heatley should have to pay the Ducks $1 million just to be on the roster. His game has been in rapid decline for years, he’s a locker room cancer without any accountability, and has had little success in the playoffs. To come to think of it, he’ll fit right in while he’s in Anaheim then! 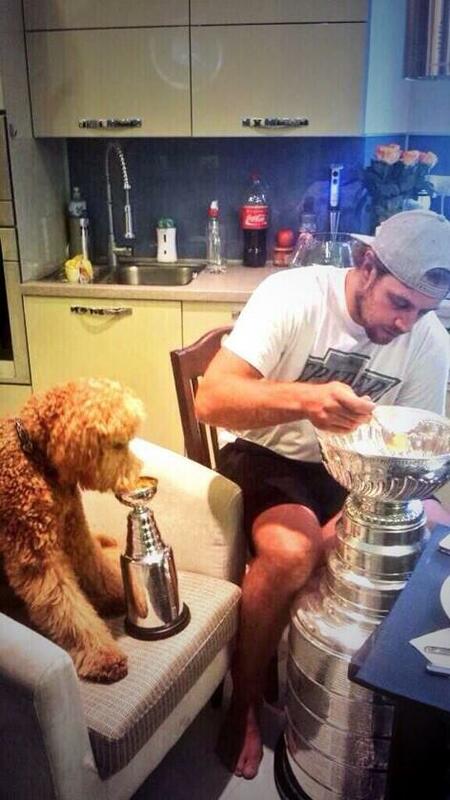 Meanwhile Anze Kopitar is enjoying his breakfast out of the Stanley Cup……. This entry was posted in Morning Coffee on July 14, 2014 by omzzzzz. 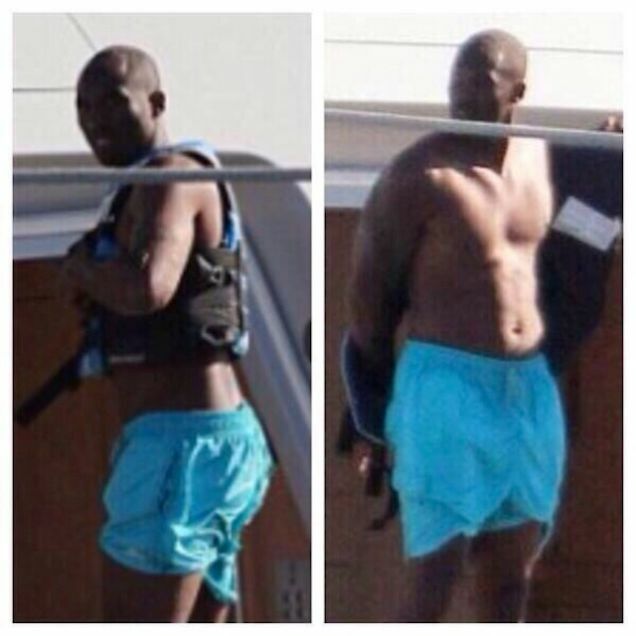 Is Kobe Bryant actually fat now? Look at the picture and decide for yourself. The man on the left looks like Kobe. The man on the right looks closer to a black Marlon Brando who ate Kobe Bryant. Ok, so I’m really not sure about the authenticity of this gut, but the fact people are even talking about it makes you wonder what kind of shape Kobe is going to be in come training camp. The Mamba will have basically been out of a competitive NBA game for 1.5 years come this fall. Kobe’s achilles and knee injuries may have healed, but his body may no longer be able to take the rigorous workouts he used to put himself through, which means he may very well look like Dwyane Wade did this year. For someone who the Lakers are counting on for the next two years, at a price of $48 million, that can’t make any current free agents feel good about joining the Lakers. Speaking of free agents, let’s be real: Lebron is going to re-sign with Miami, and Carmelo is going back to the Knicks to get paid. So let’s talk about what the Lakers need to do to avoid being more embarrassing than Joan Rivers next season (more on that later). They should sign Sacramento point guard Isaiah Thomas for around $8 million, sign Lance Stephenson for $10 million, re-sign Pau Gasol for $10 million, and then waive Steve Nash to save $6 million. At least that way, the Lakers would have some young talent with some upside to work with, which might even be a dark horse come playoff time. The longer the Lakers chase Melo and Lebron, the more likely they will be left with nothing but D-League players on their roster come the fall. As for the Clippers, the addition of Spencer Hawes was a solid move. Hawes gives the Clipps some badly needed front court depth behind Blake Griffin and DeAndre Jordan, which the team severely lacked last season. He also comes at a reasonable 4 year and $23 million price tag, which is actually much cheaper than many role players are getting these days. Also good signing of Jordan Farmar to replace Darren Collison. I still think Doc Rivers needs to get over his determination to sign Paul Pierce though. Pierce’s production dropped off big time last year, and he went through stretches where he shot the ball very poorly. Matt Barnes and JJ Reddick are way better options in the rotation at this point than Pierce. Rivers trying to sign Pierce is like trying to get back together with your high school girlfriend 10 years later when she’s put on a ton of weight. Stay away Doc. This was amusing though…. Oh this is awkward… RT @spencerhawes00: Hey @blakegriffin32 you know 32 is my number you wanna arm wrestle for it or something? To baseball, where the Dodgers had a very nice weekend in Colorado, taking three out of four from the Rockies, and maintaining a slight edge over the Giants for 1st place in the NL West. The pitching continues to be unbelievable, especially from Clayton Kershaw, who might never give up a run again. Kershaw is a once in a generation player, and every time he takes the mound, I feel like I need to stop what I am doing to watch him. I’m not sure if he’ll break Don Drysdale or Orel Hershiser’s mark for shut out innings, but it sure is fun watching him try. Speaking of pitching, interesting idea floated by Fox Sports Ken Rosenthal, who says the Dodgers may trade for David Price just to put pressure on DirecTV to strike a deal with Time Warner. I don’t think so Ken. David Price isn’t a bigger star than Clayton Kershaw or Yasiel Puig right now, and the Dodgers have recently thrown two no-hitters, yet DirecTV isn’t budging. Congratulations to Kershaw, Puig, Zach Greinke, and Dee Gordon on making the NL all-star team. Well deserved by all of them. I would have really liked to see reliever JP Howell make it as well, however, middle-relievers are easily over-looked in the all-star selection process. I’m also a little bummed that Josh Beckett was not selected on the ballot for the final roster spot in the NL. Beckett’s record may not show it, but he’s really been outstanding this year, including his recent no-hitter and another great outing yesterday. When the Dodgers made that trade with the Red Sox, it was really to get Adrian Gonzales, but Carl Crawford and Josh Beckett’s salary came with him. LA was just hoping they could give Beckett a few beers and a bucket of fried chicken, and he would sit quietly in his corner of the clubhouse without blowing things up. Instead, he’s re-invented himself and become a major contributor. Down the freeway, the Angels very quietly have the 2nd best record in the AL after completing a four game sweep of the Astros this weekend at the Big A. It’s amazing how much better the Angels are just by taking care of business this year against scrub teams like the Astros. The Halos are 3.5 games back of the A’s in the AL West, and holding a firm grip on a wild card spot. To me, the Angels have one of the biggest all-star snubs of all in pitcher Garrett Richards, who is 10-2 with a 2.71 ERA. You can still vote Richards in for the final roster spot, but his inclusion should have been a no-brainer. Erik Aybar has also had an all-star caliber season, and I’m surprised he didn’t make it as well. The bad news for the Angels is that A’s made a huge move this week to make them the favorites to win the American League pennant. Oakland acquired, not one, but two starting pitchers, in Jeff Samardzija and Jason Hammel, from the Cubs for some prospects. This has to put a little heat on Jerry Dipoto to do something to upgrade the Halos pitching staff, whether it’s another starter, or more help in the bullpen. The Oakland trade also means we’ve come to that really awkward moment where Jeff Samardzija is the best wide receiver in Oakland. I did enjoy the US Men’s Soccer team’s run in the World Cup, but I’m not sure it’s going to change much for me or anybody else in the next four years. Does the casual fan have any greater desire to follow the MLS now, or watch the Premier League? I know I don’t. We simply dump too much money in other sports, and are far more interested in the NFL, the NBA, and even the NHL, than soccer in this country. There’s some argument to be made that baseball’s interest is slowly deteriorating and may not last another 10 years, but the TV money spent on baseball will be difficult for soccer to duplicate. Still, Team USA had a run through the “Group of Death” and against Belgium that we can all be proud of, and we should expect to go much further in the tournament in 2018. I spent my 4th of July in Manhattan Beach, and was terrified when I discovered that a swimmer had been attacked by a Great White Shark. Fortunately, the swimmer was ok, but I’d like to take this opportunity to point out the idiots that were responsible for this incident. This was no accident, it was a case of a stupid fisherman agitating a shark for 45 minutes by hooking it (which is illegal), and then let it go amongst a bunch of swimmers. Even more idiotic was the reaction of the fisherman and his friends who filmed the attack, and were laughing about it while it took place. It’s amazing that these idiots live among us. Take a look for yourself…. Finally, did anyone catch the Joan Rivers interview on CNN? Rivers stormed out of an interview with Fredericka Whitfield a few days ago, while trying to promote her new book. Rivers believed that Whitfield was being too negative and was making personal attacks on her during the interview with her line of questioning, which caused her to storm out of the room. Even though Whitfield was somewhat condescending in her line of questioning, Rivers has made a career out of making fun of people. Frankly, I find her ridiculous looks after all her plastic surgery far funnier than any of her jokes, but Rivers should be much more thick skinned given that she’s a comedian. Clearly she can dish it out, but can’t take it. This entry was posted in Morning Coffee on July 7, 2014 by omzzzzz.